One of the enhancements that I’m so glad that we’ve added earlier this year to this blog is the Professional and Successful Artists Series. I feel responsible for providing information to my readers that is helpful, honest, and will move artists forward when applied. But I know that I don’t KNOW everything, so being able to interview other successful artists who are willing to share their insights, advice, and experience is what I believe is serving the loyal readers of the UnCloseted Professor Blog well. I had the opportunity to virtually “meet” Squeaky Moore back in June! LinkedIn has served as a wonderful resource for connecting with talented individuals. This then led to a mesmerizing and authentic phone conversation between the two of us. 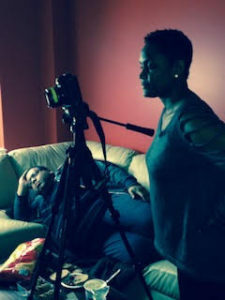 This multi-talented Chicago native has created magic for herself and is taking the film and television industry by storm! She refers to herself as “one woman, many faces, one creator, many talents,” and she rightfully should do so. She is a producer, screenwriter, director, content creator, and an actress, but wait… her talents just don’t stop there. 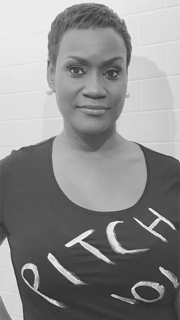 She is also a “Pitching Guru” and career coach who has just published and released her book #100Pitches: Mistakes I’ve Made So You Don’t Have To! She is on fire, so be prepared to spark your creative flame through her inspirational story of triumph and perseverance! Today’s topic is on my interview with New York producer Squeaky Moore and how the lessons that she’s learned can help you with your own artistic endeavors. 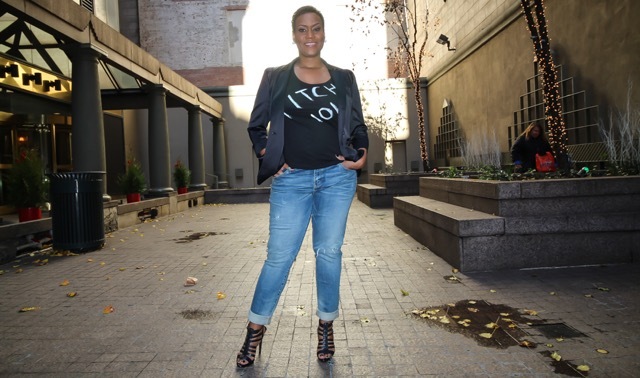 Nitara O: You are the unstoppable Squeaky Moore – full time filmmaker, career coach, and now published author of #100Pitches: Mistakes I’ve Made So You Don’t Have To. Do you ever just look back on your life and reflect on all of the events that brought you to this exact moment? If so, what are those milestones? Squeaky M: Great question. Sometimes I do reflect on how everything is playing out in my life. I try to connect the dots to see where they are headed. Some of my milestones have to do with areas I considered myself failing in before. One was producing and mounting stage plays in Chicago, another was leaving Chicago to come to New York when I was in the height of a theater career, another milestone is producing my first film project, which led me to creating a television show and to my first pitch with BET. Nitara O: That must have been an exhilarating experience. BET… Black Entertainment Television. That’s huge! Squeaky M: It was. But I was eventually told “We are going to pass on your project,” which left me feeling rejected. These “failures” or “bad judgement calls” were actually huge successes when I reflect back on them. Nitara O: Yeah, I think every artists who perseveres through moments of failure realize how those experiences, which appear to be negative at first, end up being a big lesson in helping them to move forward. The problem is, the rejection never feels good in the moment. Squeaky M: Right. You have to keep moving passed that moment. When I mounted my first of three stage plays — my last one, which was forced to shut down after a few weeks due to lack of finances, made me feel like I failed. It would take me nine years to fight against those feelings and take another big risk again. Squeaky M: My first produced film project. It went viral. I look back on the tenacity it took to do something so major at 24 years old! I am a risk taker and the stage plays I mounted are forever an imprint in my mind that I am a doer! No matter the outcome. I take massive action! Getting a “no” from a television network, after being shown interest, was devastating yes, but it was a catalyst to knowing which direction I wanted to guide my career in within the entertainment industry. 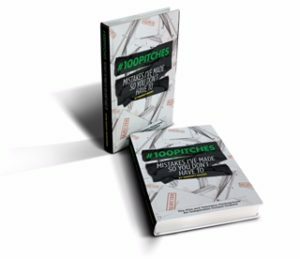 It’s also a story that contributes greatly, and is part of the catalyst, for writing my new book, #100Pitches: Mistakes I’ve Made So You Don’t Have To. These milestones have proven to me that success doesn’t come the way one always imagines. It’s usually encased within rejection, tears, upsets, and a few bad calls. Nitara O: Tell me about it. I’ve released enough tears to fill an ocean. You wear all of these different “hats” and you pride yourself on being a finisher. What you start, you finish. What is it that keeps you balanced and focused at any given time when you have so much on your plate? Squeaky M: God. My strong desire to attain success. My strong desire to be better than my mom. She would have wanted that. Maybe even the responsibility to bring my family up from what I believe has been a horrible curse! (Chuckling) I laugh about this, but I’m serious. Otherwise, I truly believe I was born with a success gene. My will to succeed is what has kept me focused. Nitara O: Rejections are a big part of the film and television industry, and with all artistic industries in general. How do you handle rejection now as opposed to when you first started working in the industry? Has it been the same for you? Or have you evolved into a person who uses the rejections to your advantage or are you simply indifferent? Squeaky M: I only recently learned that I struggled with rejection and that it was holding me back in 2015. I was listening to a podcast of Pat Flynn’s, and heard a man named Jia Juang speaking about pitching and his feelings of rejection. His entire message hit me like a cannon ball. I associated so closely to all he was saying about rejection stopping him from being able to do anything. He went on a journey to be rejected 100 times. I thought it was so dope! It was when I decided to go on my own journey of 100 pitches to rise above rejection. Nitara O: That is so unorthodox and beautiful! By focusing on getting the rejections and going through the numbers, it eliminates you from being concerned about results and outcomes. That alone has given me a new perspective in this moment. Squeaky M: I’m glad. Juang taught me that “No, was not universal.” I’m mature enough to know that some doors need to be shut, and with situations where certain doors were seemingly closed, I developed amazing relationships, and in actuality, a “revolving door.” So in essence, it’s a “not yet.” I’ve re-framed my thinking (as time has shown me) that though things don’t happen for me the way I always imagine, my relationships are blossoming, and therefore I’m still winning. On set pic of Squeaky. Nitara O: I love it. I hope those words have reached all artists. I’d like to transition here. Now, you have a passion for creating certain types of projects. What themes/genres do you consistently gravitate towards — either in creating your own projects or when someone is pitching projects to you? And why is that particular theme and/or genre important to you? Squeaky M: I didn’t realize that I’d been gravitating towards projects with socially relevant themes; father-absent homes in the black community, mental health in the black community, and things of that nature. I try to look for ways to discuss these social issues in a way that doesn’t seem “preachy,” but still gets addressed. I think I’ve taken on a duty to do justice to these social matters, as well as others that are relevant to minorities and women. Nitara O: I agree that you’re taking on this duty, for sure. And in more ways than one. You just released this awesome business tool for independent content creators to move their careers forward and to actually see results. And you had women and other minorities in mind when creating it, correct? Squeaky M: Yeah, I absolutely did. Women and minorities are the groups that I think about helping the most. The book that every filmmaker needs in their library. Nitara O: That’s great! I feel like your book #100Pitches: Mistakes I’ve Made So You Don’t Have To is a tool that serious filmmakers need to have in their personal collection. When I started reading it, I felt myself being compelled to keep reading because I saw just how relevant the content is for me as a screenwriter. Great material. Very straight-forward. Well-written. Nitara O: And why is this book so important to you? Squeaky M: It was written on the heels of “#Oscars so White” mixed with my own experiences of “faking it until I make it.” I feel so few stories are being told about minorities and women in a positive light. My mission when writing the book was to help us [women and minorities] learn the rules of pitching and developing our projects so that we can sell them, and have more diverse stories [of ours] told on the big and little screens. Nitara O: Artists oftentimes have these grandiose visions of what their careers will look like when they first endeavor to be an artist. When it doesn’t “happen” for them immediately, they get discouraged. What was the most discouraging moment of your career and how were you able to get through it? Squeaky M: I believe it was having to fold on my 3rd stage play. As I said before, I really felt like I was a failure. It was such a good play! But when I could not finish, it felt like I’d failed. I couldn’t see any successes. I couldn’t celebrate that it ran a full month! I couldn’t celebrate how creative it was and that I was the creator! I couldn’t celebrate what people were saying about it. I couldn’t see passed that it had to fold. Nitara O: Oh, my god, that’s exactly what I discuss with other creatives. Artists are either living in their past failures or living in the perfect future that they’ve created in their minds. However, not being able to be present and celebrate what is directly in front of you, the good that has actually happened, is often the hardest thing to do, but is a “must” if one wants to move forward. Squeaky M: You’re preaching to the choir. It took me nine years to put myself out on the limb for a dream again! I was scared shitless, if I can be frank. I suppressed those feelings so much so that I didn’t even realize that I hadn’t gone after my creative dreams during that timeframe. It was when I was asked to produce the film Father’s Day? that I realized I had put my dreams on hold. Nitara O: What exactly happened? Squeaky M: I gasped at the realization. Literally. It took me a month to say yes to produce. Since then, it’s been my message to other women especially, to not do what I did. Before giving up, get another perspective so you don’t waste years of not going after your dreams. My message to others is really a constant reminder to me. Nitara O: Very good. I like that. I always like to leave my readers with some sort of little nugget of wisdom that gives them a fresh perspective. Outside of persistence, what applicable piece of information would you like to provide for artists who have been working in their artistic field for years, and have still not been able to make a living doing it? Squeaky M: Do some self-reflecting and some self-development before deciding to stay in it or before giving up on your dreams. I realized my issues were in the area of self-development. I realized I couldn’t do everything expertly. I’m still realizing this. I was prolonging the process, and maybe even hurting, my ability to achieve the level of success I was hoping to achieve by not putting people who are masters in certain areas in place where I am not an expert. I needed help with marketing and branding. I needed coaching and mentoring. So I started seeking to grow in areas where I was weak. A huge area that I’m working on is “the business” side of things. It doesn’t matter how amazing a writer you are if you don’t know how to market yourself or sell yourself. You have to be willing to develop in other areas outside of your artistry. If nothing changes after the point of authentic self-reflection and after getting someone else’s trusted perspective, I will still die trying to make my dreams come true. Nitara O: You don’t mess around. You say it like it is. I love your straight-forwardness. Squeaky M: That’s the only way I know how to be. Nitara O: That’s a perfect end to a great interview. Thank you so much for your time and sharing sound advice and insight that others can really use. Thanks, Squeaky. Squeaky M: Thank you, Nitara. I appreciate having another outlet to share with others. Today’s LESSON is to persevere through the trials within your career, learn the lessons from your failures, and allow yourself room to evolve in the process. FUN ASSIGNMENT: Do some self-reflecting of your own. Create some “alone-time” for yourself and make a list of all of your strengths and another list of all of your weakness, making sure both lists directly relate to your career. Be honest with yourself. What are you really great at that is working in your favor? What are you not good at doing? Who do you know that is really great at doing what you are weak at doing? Make another list of those people. You don’t have to be good at everything. You have to be spectacular at one or two things, and be able to find the best people who are spectacular at what they do to help you in areas where you are weak. **Squeaky Moore lives in New York, but is currently doing a book tour for #100Pitches: Mistakes I’ve Made So You Don’t Have To. Her book is available on Amazon.com. 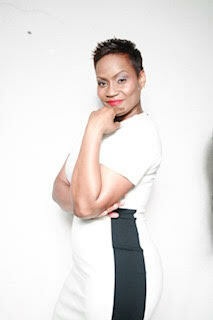 You can learn more about Squeaky Moore here on her website.